Backing up your data is the ultimate safety net. Gone are the days of using tape backups and rotating schedules to keep your data secure (spoiler alert: they failed almost 30% of the time!). With advances in backup technologies, there are many ways to keep your data safe. We believe in matching the right solutions to every company. Our comprehensive backup offering will keep your sensitive data out of harm’s way! It is estimated that 80% of small businesses who suffer a catastrophic data loss will fail within 2 years. Don’t become another statistic, let us work with you to design the best backup solution for your office. We believe in preparing for the worst. Our Backup and Disaster Recovery solutions can give you total confidence that you aren’t going to lose months, weeks, even several days’ worth of data. Hourly backup images are created to keep you working even when your server doesn’t, and regularly scheduled testing ensure those backups are functional when you need them most. When disaster strikes, you need your data the most. Place your trust in one of the Mid-South’s most experienced IT companies! 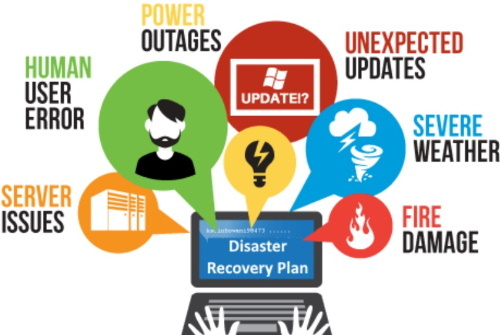 Let our experienced team help design a disaster and recovery plan that is right for you!